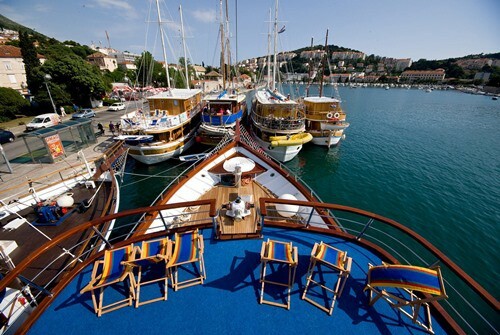 The MS Eden is one of the original twin mast vessels to cruise the Dalmatian Coast. 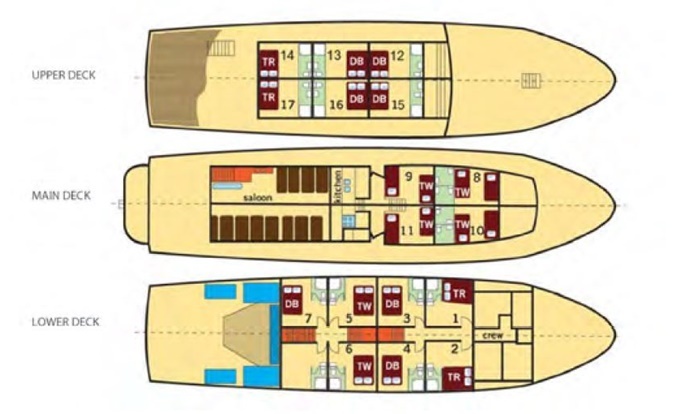 The 34.5 m cruiser boasts 19 air-conditioned en suite cabins that comfortably accommodate up to 40 guests. The communal public areas of the ship include a spacious air-conditioned salon-restaurant, two outdoor canopied seating areas, and a large sun deck featuring an arrangement of sun loungers and deck chairs. The swimming platform located at the stern, features ladders that offer easy access to the sea during scheduled swim stops. Complimentary WiFi is also available. The 34.5 m MS Eden is a veteran vessel and one of the original two mast cruise ships to sail the Dalmatian Coast. 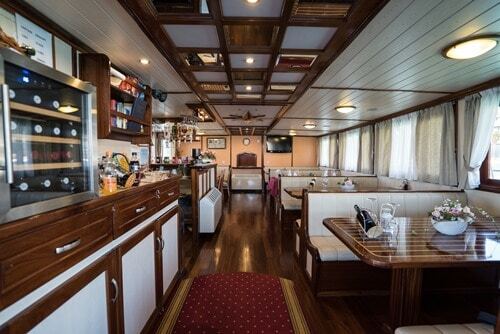 Launched in 2009, the small cruise ship offers comfortable accommodation for up to 40 guests. The 19 air-conditioned cabins have twin or double beds and a private en-suite bathroom with shower. Flat-screen TV, wardrobe, in-room safe, hairdryer and a selection of toiletries are as included. The public spaces on the main and upper decks include an air-conditioned salon-restaurant and two alfresco seating areas where guests can relax and admire the magnificent sea views. There is also a sun deck and a swimming platform. Arranged over the upper, main and lower decks, there are 19 air-conditioned cabins offering a comfortable private space in which to relax and unwind. The twin and double bed cabins provide flexible bedding configurations for up to 40 guests. 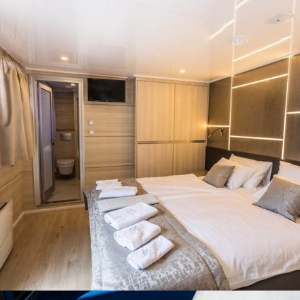 Each cabin features an en suite bathroom with shower, and a flat-screen TV, wardrobe, in-room safe, hairdryer and complementary toiletries. The décor is functional and modern. The lower deck cabins have portholes, whilst the cabins on the upper and main decks boast windows. The public areas of the MS Eden are designed to offer the perfect place to relax and socialise. 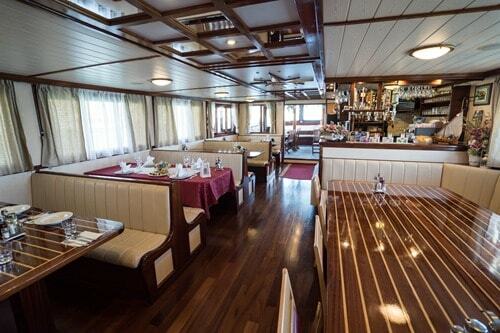 The air-conditioned salon-restaurant is situated on the main deck. Also on the main deck is an outdoor area offering canopied seating, should you wish to enjoy an alfresco experience. The upper deck also boasts covered seating. The sun deck features an array of deck chairs and sun loungers where guests can unwind and soak up the sunshine. During scheduled swim stops, en route to the cruise destination, access to the sea is easy via the ladders on the swimming platform.